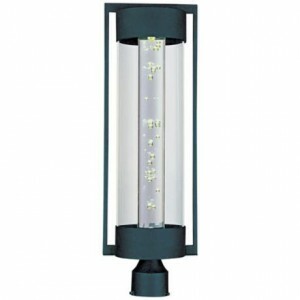 When looking for security lighting for your outdoor space, contemporary outdoor post light fixtures will be high on your list. These fixtures will site on top of a pole connected to regular 110 volt house current. This has an aluminum frame painted black with a clear glass lens. This fixture is rated for line voltage (110 volt house current). This light is rated for wet locations. It has a LED bulb that produces 7 watts of light. The light will be rated at 480 lumens. Bulb is included in this fixture. This bulb can not be used with a dimmer switch. Will require the purchase and installation of a pole or post, power line run from a ground fault circuit and a power controller. This fixture looks like a lantern. It has three bulbs for illumination. The frame is made from aluminum with a oil rubbed bronze finish. The glass has a designer finish that will defuse some of the light. It can be hung by the top, but is not designed to have wire run from the top. This fixture will handle three bulbs up to 60 watts each (not included). The bulbs will have a smaller candelabra base. Mounting can be done on a post or pole. Will require a wire run from a ground fault circuit and a power controller. Fixture is 16 inches tall and 12 inches around. Click this link for pricing. 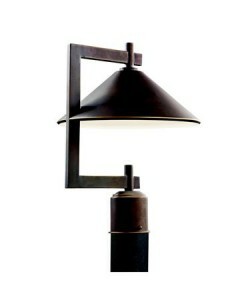 This cone shaped fixture is made from aluminum with a bronze finish. No glass or diffuser as this light will shine directly down. 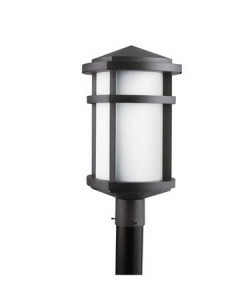 This fixture is rated for the dark sky by using a 40 watt R-14 type of bulb. It will take a regular base bulb (not included). You can use up to a 40 watt R-14 type or a 60 watt G type bulb. Bottom of bulb will be visible, get one that will be pleasing to look at. Fixture is 16 inches tall and 12 inches across. 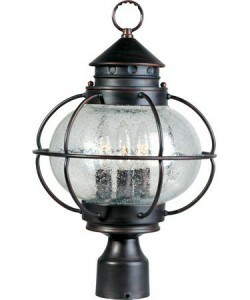 This fixture is made of cast aluminum painted black with a satin etched glass. Glass lifts out for easy bulb replacement. Maximum bulb size is 100 watts with a A-19 regular base (not included). Can use the more modern CFL bulbs in this fixture, up to 18 watts. This fixture is made of aluminum is a granite or bronze finish. Frosted glass lens. Will take a maximum of 150 watt regular base bulb (not included). Fixture is 19 1/2 inches tall and 10 1/2 inches square. Each of these fixtures will come with just the head unit. A mounting post will be needed to complete the installation. Several styles will be available. Make sure your post is compatible with your head fixture. Most will use a 3 inch post (outside diameter). See this post for more information on mounting and wiring your fixture. This type of light fixture will require 110 voltage. If you are just updating the head of your fixture, your installation will require just a little wiring. If this is a new installation, you will need to run wire underground from a ground fault circuit to your mounting point for your post. If you are not comfortable with working with electricity, hire a qualified electrician. Be safe. Several types of control switches will be available for your post light. I have covered this in this post. I hope this will give you an idea of the types of contemporary outdoor post light fixtures that are available for your outdoor spaces. These lights will give you some security when you and your guest arrive at your home. Hope you found some thing of interest in this post. As always if you have a question or comment about the subject covered in this post leave me a message using the form below. Do you find that one type attracts bugs more in the evening? I love lighting our deck but find certain types just bring on so many mosquitoes and things that I’d just annoying. The ones that attract bugs are the post lights with bright bulbs and not a lot of cover. Most of these you can put in bulbs that will not attract insects to them. 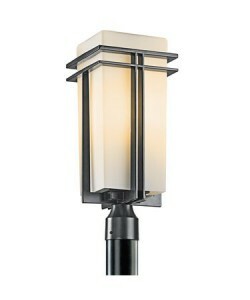 Thanks for the great styles of contemporary outdoor post light fixtures. These are a good idea for security purposes. 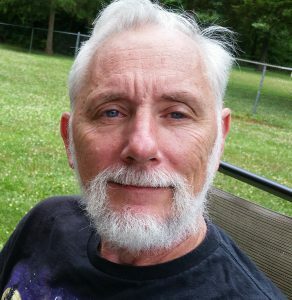 Your outdoor ideas keep me coming back and visiting your site. Thanks again for sharing!! I will keep updating this site to make sure that everyone’s outdoor space needs are covered. A few tastefully positioned light fittings like these can really enhance the look of your garden but be careful not to go overboard. I was at a garden party last year and I was afraid that one of the aircraft from the nearby airport would land on us. The lighting was expensive but unbelievably gaudy and completely over the top. I like the look of some of the fittings you have here, mind you. Any body can overdo it with lights if they are not careful. Just one or two of these fixtures will satisfy most locations. Kichler 49207 will look great for my driveway. I also like how they could blend in your environment. The contemporary fixtures will make any home look great.